Articles - The Bostitch Office Products Family is Growing! Our Bostitch Office Products family is growing and this is GREAT news for you! How is it great news for you, you ask? Well, we're welcoming products from our sister company PaperPro® to create the best office and classroom supplies you could ask for! 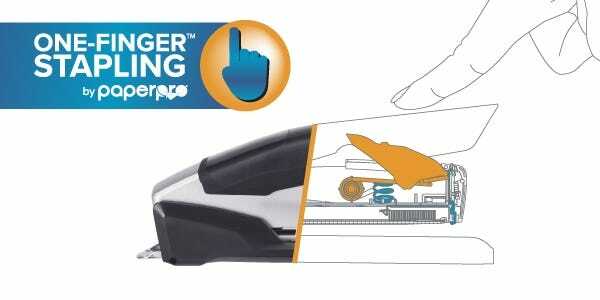 With our new Bostitch products boasting One-Finger™ Spring-Powered technology by PaperPro®, we were able to create effortless stapling that's 80% easier than those other guys! Of course we can't leave hole punches behind either — our new hole punches are now 50% easier to use thanks to EZ Squeeze technology by PaperPro®. So, whether you're used to using a PaperPro® stapler or hole punch, Bostitch products are now your new must-haves for all things office products! Tired of pushing down so hard on your stapler to only get half your papers stapled and a jam to boot? Well, the new Bostitch staplers with PaperPro® One-Finger™ Spring-Powered technology is your new best friend, making stapling 80% easier! Our new staplers cater to your every stapling need by seamlessly helping you staple anywhere from 10-100 sheets without any jams! Magic, right? Ever feel like you're wearing out your arm muscles by trying to push down on a hole punch? We have too! 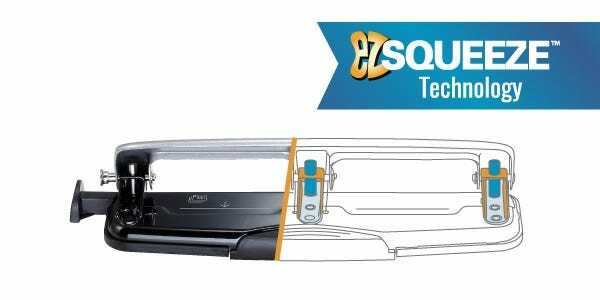 So that's why our new hole punches now have EZ Squeeze technology by PaperPro® to make punching 50% easier. The technology also helps eliminate jamming and allows the paper to flawlessly glide through the holes for a clean punch. Save your muscles for the gym! Want to know more about the new Bostitch products coming your way? Check out your new favorite products with PaperPro® infused technology!